Monkey Caboose is Australia’s best kept secret for stylish, unique baby gifts. Stay ahead of the in crowd and give a truly memorable gift that mum and baby will adore. Our exclusive online store stocks local handcrafted items and trusted international brands that can’t be found in regular stores. Monkey Caboose stocks only the finest children’s products that have been road tested for practicality and innovation. We have bedding, towels, decor, furniture, kitchenware, toys and much, much more for babies and children up to 4 years of age. Looking for something special just to celebrate the new addition to the family? Monkey Caboose has lotions, jewellery, knickknacks and gift hampers that mums, dads and siblings will just love. Avoid the mainstream and purchase unique baby gifts from Monkey Caboose. You won’t be able to resist! Purchasing baby gifts online is simple with Monkey Caboose. · Shipping from only $4.95! We charge flat rates for our shipping, from as little as $4.95 for deliveries to the Melbourne metro area. All orders over $150.00 (furniture excluded) receive shipping free! Conditions apply, so enquire today. · Speedy delivery. Monkey Caboose only uses trusted courier services to deliver your unique baby gifts on time and intact anywhere in Australia. Deliveries to Australian metro areas usually take 1-2 business days. We can deliver overseas via Australia Post too! · Easy payment options. We accept payment by Credit Card, Direct Debit and PayPal. Paying for your baby gifts from Monkey Caboose couldn’t be easier! · Hassle-free returns. We’ve ensured that our hassle-free returns and exchange policies are simple and fair. Damaged items will be replaced free of charge and refunds are happily given on unused items that are still in their packaging. · Gift vouchers and gift wrapping available. Sometimes it’s hard to know exactly what mother or baby actually need. Our gift vouchers are a wonderful gift idea for the discerning Mum as they give her opportunity to choose something that she really wants – for her baby or herself. We also provide a signature gift wrapping service to give your gift that classy and stylish appeal. 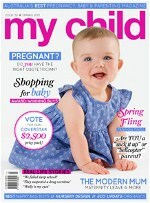 Exclusive stockists of the most chic and cool baby gifts Australia has seen. Defy convention and give something out of the ordinary that will be truly appreciated. Browse through our categories and brands to find delightfully unique baby gifts and deluxe presents for proud families. For unique baby gifts that are beyond compare, shop with Monkey Caboose!